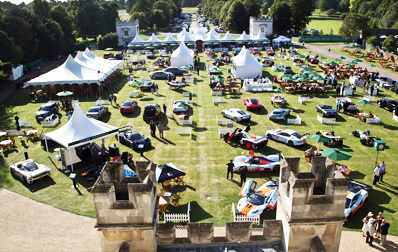 Syon Park, London, 2nd September 2013 – With just one day to go until Salon Privé 2013 opens in West London, the UK’s premiere boutique luxury automotive event is counting down more than just the days. With a £25 million parade of Concours and Super Cars taking part in the Chubb Insurance Tour d’Elégance on Tuesday ahead of Salon Privé opening on Wednesday, the show build-up is well under way. In addition to the huge numbers and values involved in putting on Salon Privé, there are a number of one-offs making an appearance this week, such as the Jaguar inspired super car sculpture – seen exclusively and for the first time at Salon Privé since its debut at Clerkenwell Design Week earlier this summer. 1 – there can be only one ‘Best In Show’ prize for the winner of this year’s Chubb Insurance Concours d’Elégance classic car beauty pageant. 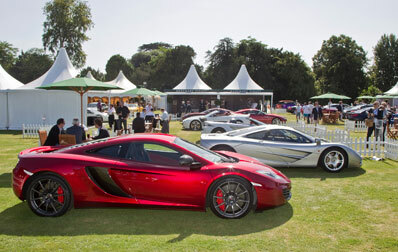 There are a number of other ‘firsts’ that will also be recorded at this year’s Salon Privé, such as the super cars making their debuts at the show, the winner of Boodles Ladies’ Day, the 1st prize at the Royal College of Art Concours of the Future design exhibition, and a number of other prizes for super cars, classic cars and even guests’ cars at the UK’s premiere luxury boutique automotive event. Salon Privé 2013 has more than ever to offer, with the Chubb Insurance Concours d’Elégance (Wednesday), Boodles Ladies’ Day (Thursday), The Royal College of Art ‘Concours of the Future’ design exhibition (Thursday), Audemars Piguet British Super Car Day (Friday), EFG Private Bank Art & Memorabilia Fair (every day), Luxury Retail Village (every day) and much more open to all guests from the 4th – 6th September at Syon Park. Tickets can be purchased at www.salonprivelondon.com/cart-events.asp or by calling the Ticket Hotline on 0808 100 2205. Entry is fully inclusive of Pommery champagne, lobster luncheon, English afternoon tea and full access to all areas.